Shelley Auffret Real Estate specialises in the Southern Gold Coast from Broadbeach to Coolangatta, although we do also work with properties in other areas of the Gold Coast. 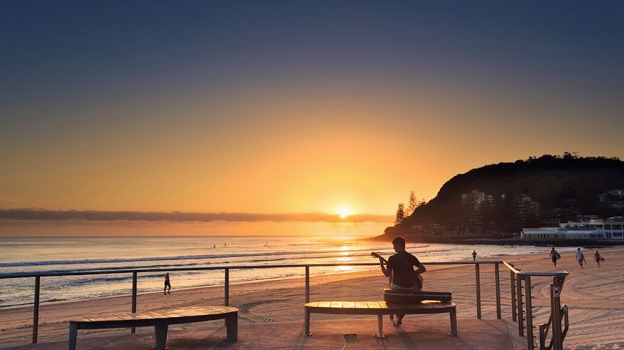 The Southern Gold Coast is a wonderful, vibrant community blessed with a relaxed way of life, beautiful year round weather and stunning beaches. A great mix of events complements this unique area and provides fabulous opportunities to gather with family and friends to enjoy recreational activities together. A comprehensive road system services the Southern Gold Coast including the Pacific Motorway which provides easy access between the Gold Coast and Brisbane, as well as further south to Sydney and Melbourne or north to Cairns and Cape Tribulation. Within the Gold Coast are a network of roads servicing every community. Use Google Maps to find your way around. There is also a strong bus network for local travel and train system from Varsity Lakes connecting southern and northern suburbs and operating as an easy way to reach to Brisbane and beyond. To plan a trip on Gold Coast transport click here. Whilst every area has its local shops there are several main shopping centres on the Gold Coast. The largest, by far, is Robina easily accessible from all Southern Gold Coast suburbs. Robina Town Centre hosts 350 retail outlets covering over 125,000 square metres. Also close by is Stocklands, Burleigh Heads, The Pines, Elanora, and newly refurbished Strand, Coolangatta, whilst a little further north is Pacific Fair, Broadbeach. For more information on the Gold Coast, facilities and pretty much anything else, contact local realtor, Shelley Auffret on 0418 611 421. We’re always ready to help!